The proposal could be the largest expansion of government since the Great Society or New Deal. 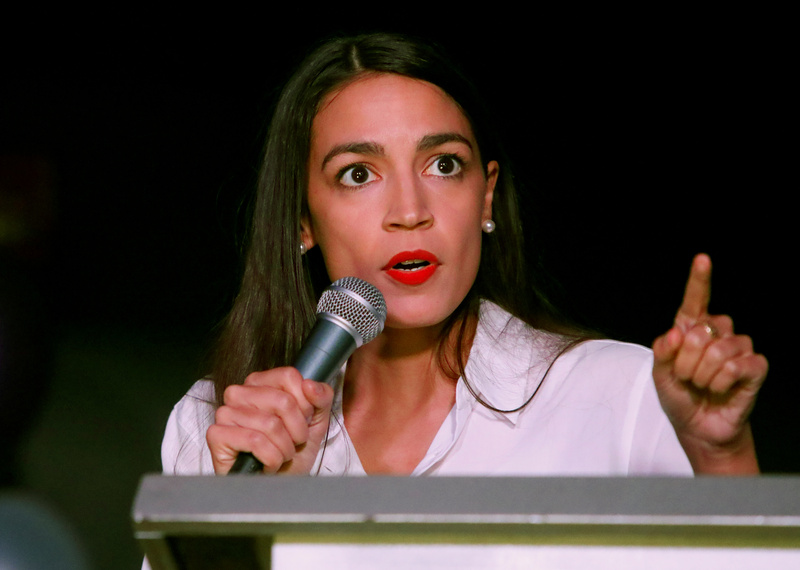 Ocasio-Cortez’s plan could cost tens of trillions of dollars. Democratic congressional candidate Alexandria Ocasio-Cortez speaks at her midterm election night party in New York City, U.S. November 6, 2018. REUTERS/Andrew Kelly. “This is going to be the New Deal, the Great Society, the moon shot, the civil-rights movement of our generation,” Ocasio-Cortez said at a panel event in early December alongside Sanders, a likely 2020 presidential contender. Those goals include moving the U.S. to 100 percent green energy, federal job guarantees for workings forced out of their fossil fuel jobs, guaranteed minimum income and universal health care. Democrats will take control of the House in 2019 and many want to see global warming become a central part of their agenda. Republicans are unlikely to go along with a green deal in any form, and cracks are even appearing among Democrats on climate policy. Since the “Green New Deal” lacks specifics, it’s hard to gauge the total cost, but similar climate and welfare policies are estimated to cost trillions of dollars. For starters, moving the U.S. to a 100-percent renewable electric grid could cost as much as $5.2 trillion over two decades, according to a 2010 study by the conservative Heritage Foundation. That’s about $218 billion to move the grid away from coal and natural gas. 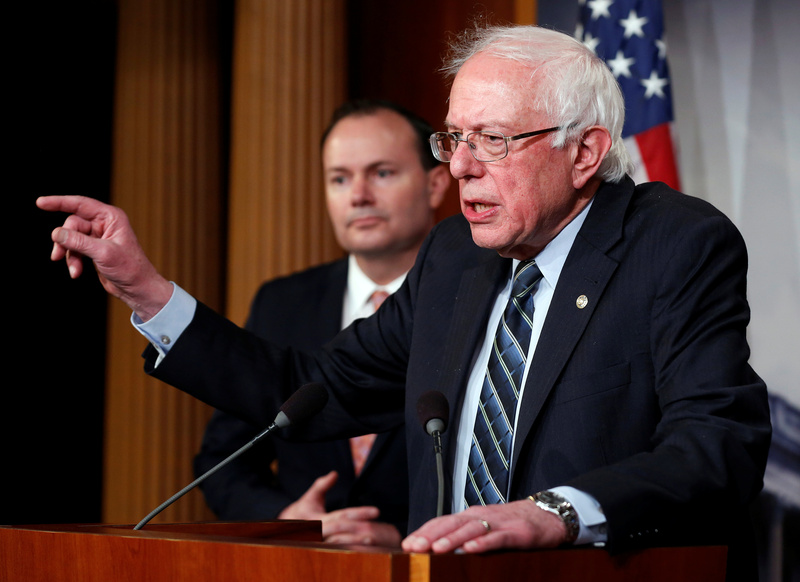 Senator Bernie Sanders (I-VT) speaks after the senate voted on a resolution ending U.S. military support for the war in Yemen on Capitol Hill in Washington, U.S., December 13, 2018. REUTERS/Joshua Robert. On top of that, the non-energy-related portions of the Green New Deal could cost trillions more, including universal health care and guaranteed income. The libertarian Mercatus Center released a study in July that found Sanders’s “Medicare for All” plan would cost $32.6 trillion over 10 years. That same month, hedge-fund manager Ray Dalio estimated the cost to taxpayers of a universal basic income policy would top $3.8 trillion a year — and that’s assuming every American citizen got just $12,000 a year. For comparison, the Great Society policies pursued by the Johnson administration during the 1960s cost $22 trillion, according to estimates from the Heritage Foundation. Former President Franklin D. Roosevelt’s “New Deal” of the 1930s during the Great Depression cost $500 billion in today’s dollars, The Nation reported in 2008. Of course, both the New Deal and Great Society have left U.S. taxpayers on the hook for trillions in debt and unfunded liabilities — somewhere between $87 trillion and $222 trillion.